In part 1 of this article, we looked at the advantages of using smartphones and tablets as control devices in a home automation systems. On top of the numerous advantages, there are a number of disadvantages that may affect the decision of whether to use a smart phone/tablet or a proprietary device. These disadvantages can be addressed and most times removed all together if approached logically. If you missed part 1 of the article you can view it here. The most common argument against using a smartphone or tablet for home automation is the fact that they don't have enough, or sometimes any hard buttons that can be programmed to perform an action. Proprietary devices usually have a number of physical buttons that can be programmed to carry out the most common functions such as power on, volume changes, etc, without the need to navigate through pages of GUI’s to find the correct control. However alternative methods of interaction can combat this by designing a GUI that utilises gestures, sensors and the multi touch interface to allow for commonly used controls to be implemented without the need to look at the device. For example, volume up and down could be assigned to swipe up and down gestures, play and pause could be assigned to single or double taps, or even just a flick of the device whilst the user is on the DVD control page. Another point to be considered when looking at using a smartphone or tablet is the fact that iPads and iPhones do not come with stands and wall mount options as standard. Once again, the problem is easily solved by purchasing one of the many available third party options to achieve the same result. These third party options are also available in many different styles and colors, meaning that there is almost always a way to fit the device into the decor of the surroundings. Screen lock is also an issue on iOS devices, before iOS6 slide to unlock could only be disabled on a jailbroken device. With Guided Access on iOS6 the screen lock function can be disabled, so it launches straight into the app that was open when the screen turned off. Similar to this is when a smartphone or tablet is turned on, the end user will need to launch the appropriate application before it can be used to control the relevant system. One way to get around this issue, if it is a dedicated control device, is to simply leave the device turned on with guided access mode enabled. Of course this is only going to work if the device is in a dock or permanently mounted in a wall. If it is connected permanently to a power source, you will also be constantly using power to charge the device. The mobile nature of these very devices is one thing that goes against them; they could be more easily lost or stolen. While some would consider theft to be a problem, it comes down to common sense and choosing the right device for the right application. Don't use an iPad to control an area where it is likely accessed by those who are likely to steal it – or use a theft deterrent mounting solution. Some device manufacturers such as Apple will frequently release software and hardware updates. This would lead some to think that therefore more service calls would be required to address software updates and change over to new hardware. 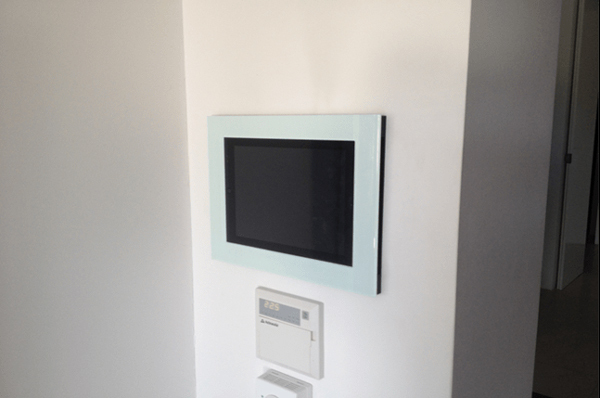 Feedback from integrators has indicated that this isn't always the case, a lot of end users are happy to continue using older hardware for control systems, especially if it is wall mounted as they don't see it as an entertainment device. Software updates are more of a problem, but generally software updates are not compulsory and are usually designed so that all previously installed applications will continue to function as usual. When talking about iPads and iPhones, Wi-Fi is really the only option for network connectivity. Whilst there is no substitute for a wired connection, making Wi-Fi rock solid has become increasingly easier and inexpensive. There is also a selection of Android devices available that include a wired Ethernet connection. That concludes part 2 of "What to Consider When Using Tablets and Smartphones as Control Devices in Home Automation Systems". Learn more about CommandFusion's iViewer 4 here.